Vitamix challenged me to make a main course fit for Christmas Day using my blender and, no, it couldn’t be soup! 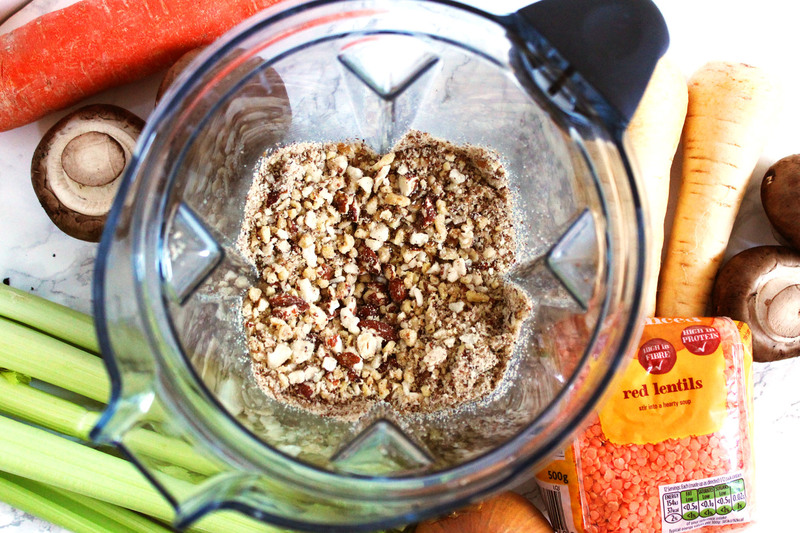 Scroll down just how easy it is to make nut roast in a Vitamix. I am well and truly a meat eater. I try to cut down on the amount of meat I eat but I could never give it up for good. Living with a vegetarian means its actually surprisingly easy to avoid eating meat and I’ve now got a HUGE repertoire of tasty vegetarian meals. Creating a vegetarian main course that will rival a turkey is something I’ve always struggled with. Quorn roasts are fine (in fact even as a meat eater I really, really like them) but it’s just not the same as a juicy slice of turkey breast. Rather than try to replicate the meat I like to make something extra special. We’ve made our own nut roasts a few times. This year I wanted to take it to the next level creating three layers of flavours and textures using ingredients that just screamed Christmas! Turning out a feast fit for a king is no mean feat and requires precision timing, hours of prep and lots of patience. I’m always looking for ways to cut down on the amount of preparation I have to do, whether it’s cooking my Christmas pud in a slow cooker, making my red cabbage weeks before, or using a gadget or two to speed up the whole process. I only got my Vitamix a few weeks ago. You might have seen became obsessed with the hot soup function and shared my recipe for Parsnip and Chestnut Soup (a great dish to serve as starter on Christmas Day). But, the Vitmaix doesn’t just create smoothies and soups. It can also be used to dice, slice and chop! This festive nut roast uses A LOT of different ingredients. There’s celery, carrot, onion, mushroom, nuts and breadcrumbs to name just a few. To dice each of these ingredients individually would take hours. That is unless you use a Vitamix. On the pulse setting, the blades will dice anything to your desired consistency. The only elements that didn’t get diced in my Vitamix? The lentils, cranberry sauce and the layer of parsnips forming the foundation of the dish. The advice from Vitamix is to process a maximum of 175g at a time, though I think you get the best control and more even results with no more than 150g. You can chop different vegetables together to speed things up but in this recipe I’ve done each separately. The higher the speed you use the finer the chop you’ll get but I like to use the pulse setting which gives you a more rough and ready mix of sizes. 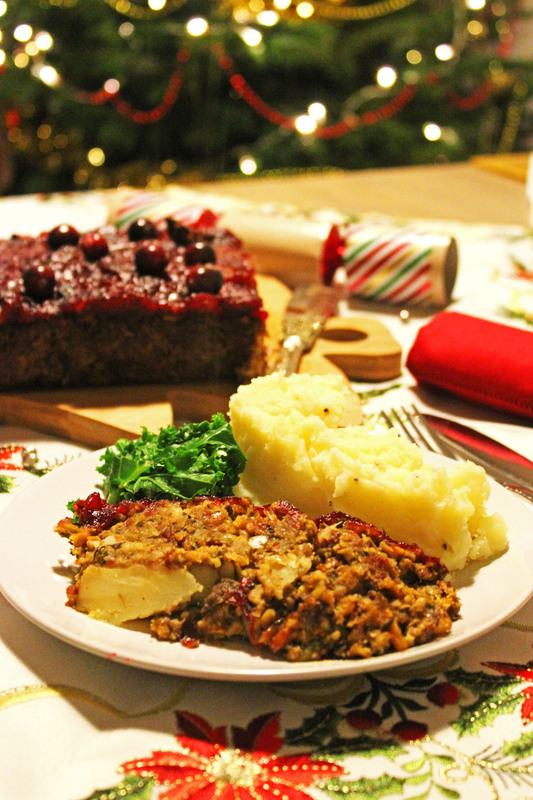 There may be a lot of different ingredients in this nut roast but they all play a part in making this an extra special Christmas main course fit for meat eaters and vegetarians alike! There are no less than five vegetables in this dish so you’ll get your five a day in just one sitting! The lentils and breadcrumbs add bulk, the fresh herbs give an earthy flavour and the cheddar cheese makes this extra rich. The spiced cranberry sauce cuts through the decadent nut roast and the parsnips on the base are a fun surprise when you serve up a slice to your guests. You could buy a nut roast this Christmas but you’d be missing out! I’ve never come across a nut roast quite like this. Don’t have a Vitamix? Don’t worry, you can chop all of the ingredients by hand. Just factor in an extra half an hour or so of preparation time. The end dish will be just as tasty and well worth the effort. Maple glazed veggies are the perfect side dish for this festive nut roast. Yuuuuuuuum. I do love a good nut roast. Using your blender to chop veggies is a brilliant idea! Thanks Becca. Glad you like it. I was amazed at how much time it saved me. 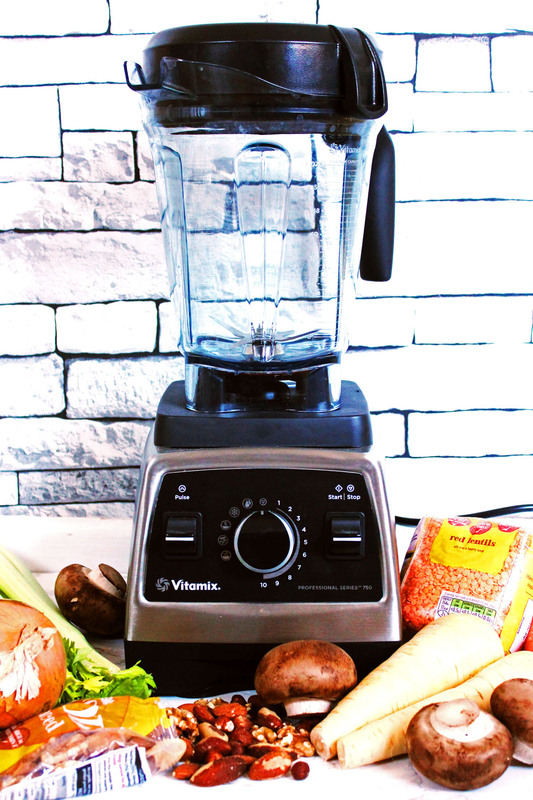 I do miss my Vitamix – it was amazing at pulverising even the toughest stuff I threw at it! 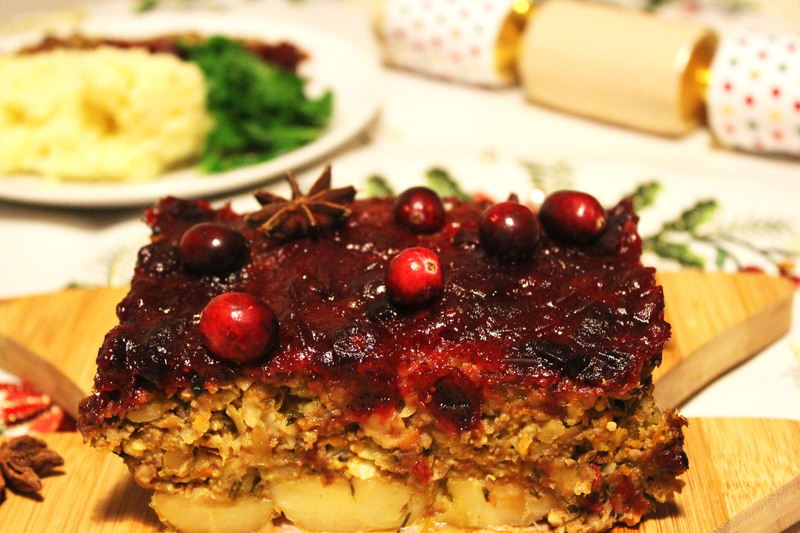 The nut roast sounds delicious – even as a meat eater I would love a big slice! That sounds delicious, it’s a long time since I made a nut roast but you have encouraged me to have another go! I must admit Janice we don’t usually make our own! Now I’m wondering why considering just how easy this is.